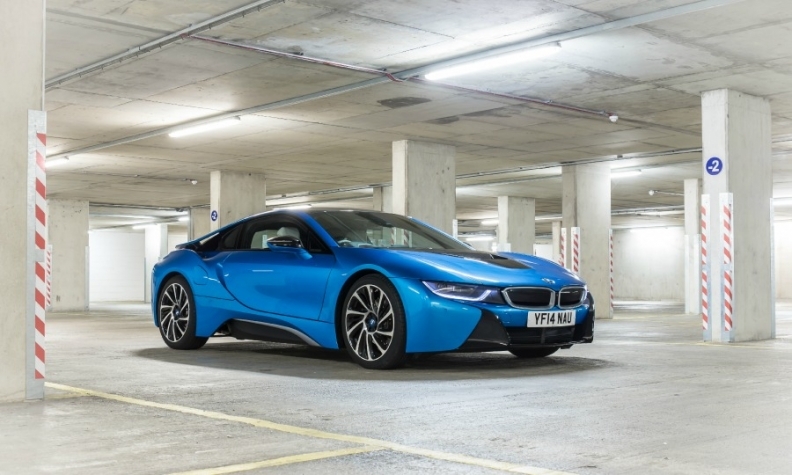 BMW launched its i8 plug-in hybrid, pictured, and i3 EV in South Africa earlier this year. CAPE TOWN, S. Africa (Reuters) -- The South African units of BMW and Nissan will build a national grid of charging stations for electric and plug-in hybrid cars to expand sales of greener vehicles that could reduce pollution in Africa's top auto market. The two automakers will roll out the fast-charging stations from now until 2017 which BMW and Nissan cars can use to power up. Nissan introduced its all-electric Leaf in South Africa in 2013, while BMW launched its electric i3 and i8 plug-in hybrid models in March. BMW and Nissan said their national network of stations where vehicles can charge their batteries will also include smaller vehicle chargers using alternating current in some regions. "In order for the introduction and expansion of electric vehicles as well as plug-in hybrid electric vehicles to be successful in this market, we need to work together," Tim Abbott, managing director of BMW South Africa said in a statement. The automakers said although South Africa is experiencing severe power supply shortages, their plans would not be affected. State-owned power utility Eskom has been forced to frequently curtail electricity to residents and businesses in a bid to preserve the national power grid. "It is not expected that the country's power crisis will affect this initiative in any way. The companies are also exploring renewable energy sources to power their charging grid," Veralda Schmidt, Nissan’s spokeswoman, said. Battery-powered cars have failed to live up to their initial hype globally, with drivers put off by the slow roll out of recharging stations, and limited range - despite generous sales incentives in some markets. Because the batteries, cabling and cooling systems for electric cars cost more than a conventional combustion engine, electric vehicles have struggled to gain widespread acceptance among price-sensitive customers, particularly if the same model is available cheaper with a more conventional powertrain. Some electric cars also require lengthy charging periods, reducing their attractiveness for customers planning to drive longer distances frequently.